Back in the old days, Internet Explorer was synonymous to web browsing. With technological marvels pushing boundaries, rival platforms introduced their own version of web browsers in the name of Firefox, Opera, Chrome and more. These feature-rich browsers were acclaimed by critics and users alike, while Internet Explorer began to get behind the race. Despite bringing in new features on board, the poor brand image that had been built upon it overshadowed such attempts. 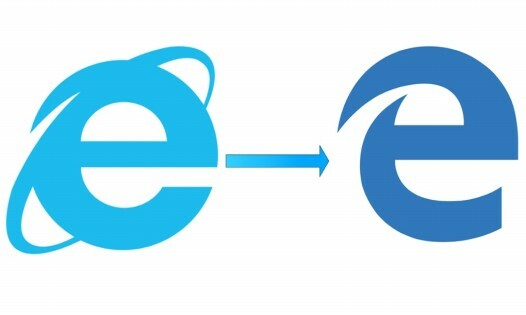 As a part of Microsoft’s aggressive revitalization, Windows 10 came into the world and so did their brand new web browser having a logo that pays homage to their former web browser. 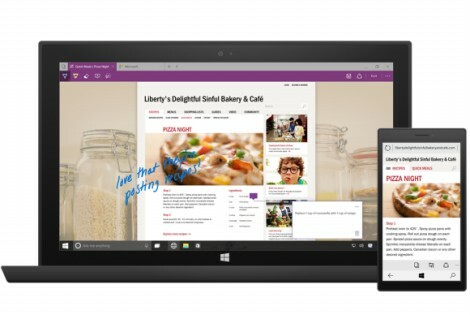 Microsoft Edge, their (aptly titled) web browser was introduced alongside their latest OS, in a bid to win back the largest chunk of the browser market share. The browser’s still a work in progress, yet its remarkable features have given it enough recognition already. Now that Microsoft has halted its support for Internet Explorer 8, 9 & 10, here are few convincing reasons why Microsoft Edge is worth a try. 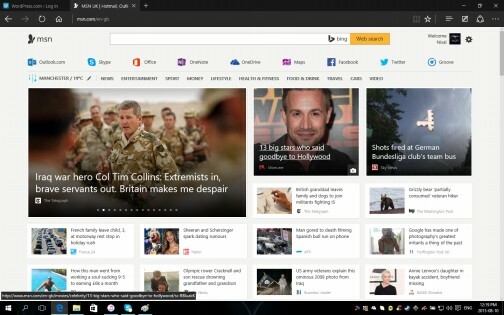 Edge has shared a few design features from chrome and Firefox and is indeed appealing. It is in no way an Internet Explorer II and the refreshing change has made it more easy and fun to use. Settings are housed on the right and its minimalist icons and tools makes it more user friendly. Providing the ease of reading text content is the reading mode. Upon clicking the reading mode icon, get rid of ads, sidebars and other irrelevant content from the website and what you get is a neatly presented text that is waiting to be read by you! The integration of Cortana is by far the stand-out feature in my viewpoint. 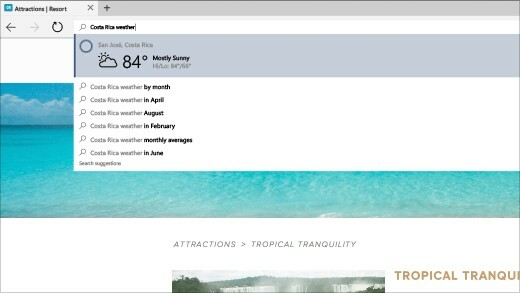 Cortana is built in the address bar where if you key in ‘Weather’, you’ll be given instant weather information. Same does apply when you look for stock market details and also, you could use the address bar as a calculator, thanks to Cortana! That’s not all. 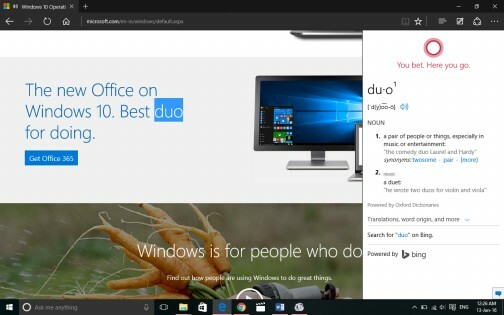 If you come across an unknown word, selecting it and choosing ‘Ask Cortana’ from the context menu will give you the definition of the same. Rich information contents are delivered when the selected word is a place, a celebrity name, a famous restaurant.. the possibilities are endless! 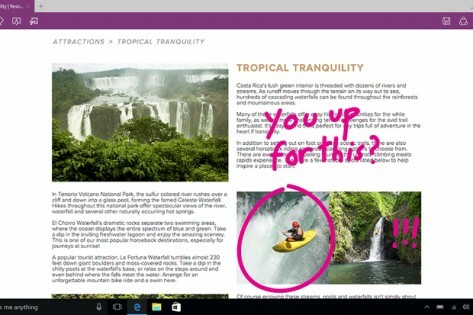 One of the revolutionary features, apart from Cortana, are page annotations. With a simple drawing tool, edge gives you the privilege to scribble and write notes on websites directly. You could also crop a portion of a webpage and save or share them as well. 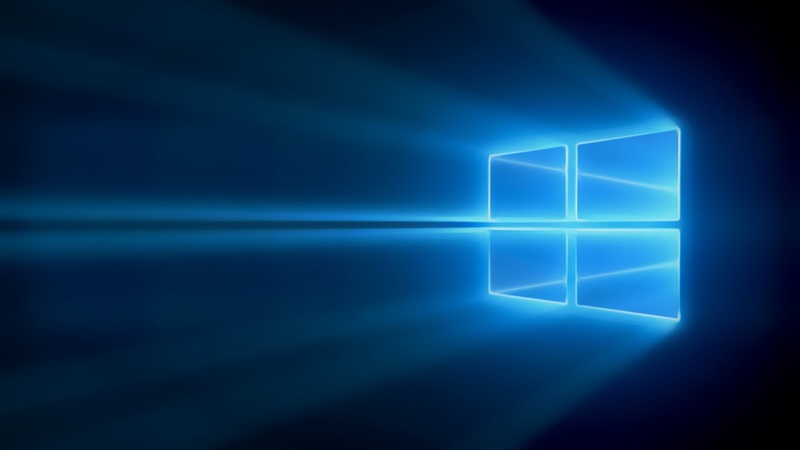 Being a Universal App, the power of Windows 10 and Edge gives users a consistent browsing experience across all Windows devices. 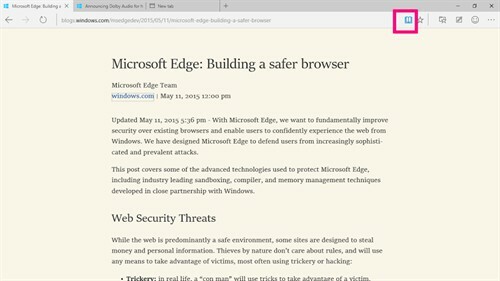 Edge also delivers the promise of executing support for chrome and Firefox-Style extensions. Developers can use the same code used by Chrome or Firefox to make it work on Edge! The web browser is still in its infancies and certain features as announced might not yet be available to the general public. But sit tight as they are not afar from availability. Edge has been gaining grounds day after day and plenty of users are pretty excited about the new direction Microsoft is heading to. Are you a regular Edge user? Let us know your comments.